Sitting one hundred and fifty miles south of the mainland, Tasmania is Australia’s smallest state, but also its largest island. Most international visitors probably haven’t even heard of Tasmania, preferring to visit Australia’s more well-known destinations such as Sydney, the Gold Coast, and the Great Barrier Reef. In fact, many Australians themselves still haven’t made it down to their southern-most state (maybe because Australian passport holders have one of the most powerful passports and they would rather jet overseas?!). Forty per cent of Tasmania consists of national parks, world heritage sites or nature reserves. 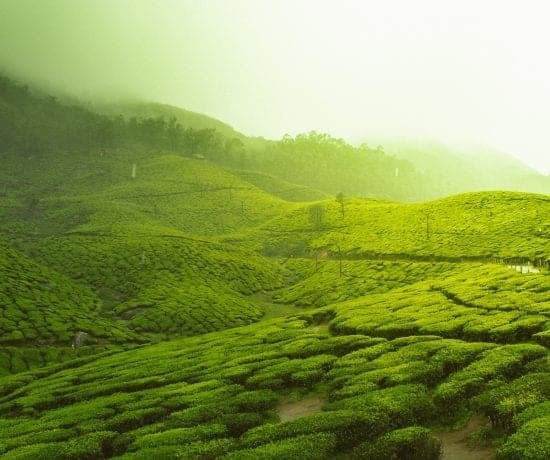 This makes it pure heaven for nature lovers like us. 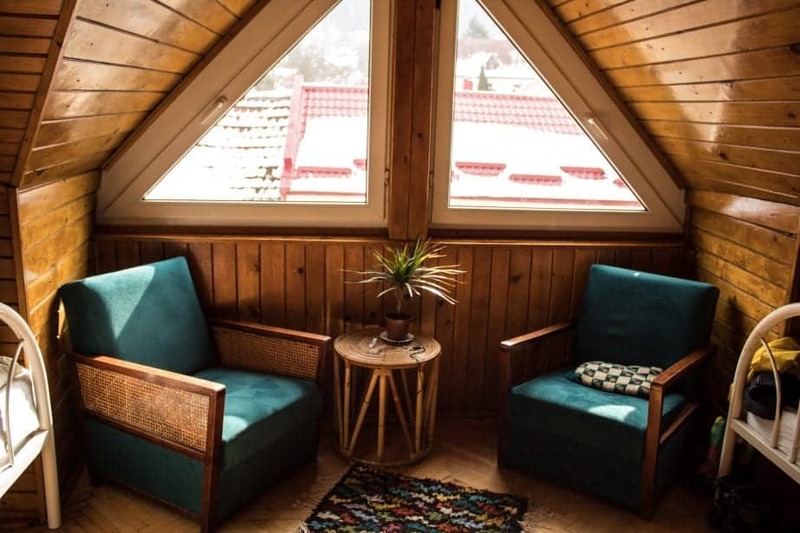 In this small state, you’ll find rugged coastlines, limestone caves, snow-capped mountains, rainforests, alpine plateaus, wild rivers and gorges, and magnificent white sandy beaches. 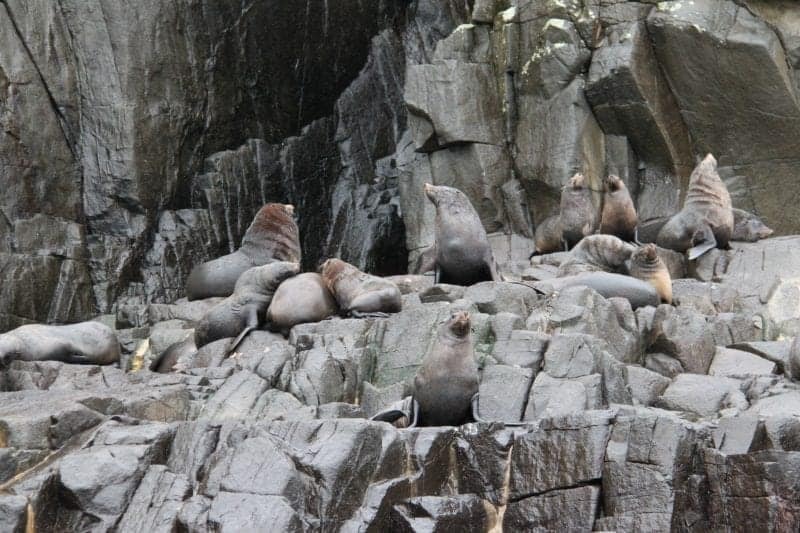 Tasmania is also one of the best places to see some of Australia’s unique wildlife such as the wombats and wallabies and let’s not forget the Tasmanian Devil. It’s pretty much impossible to be bored in Tasmania! 10 best places to visit in Tasmania to soak up Tassie’s natural beauty. 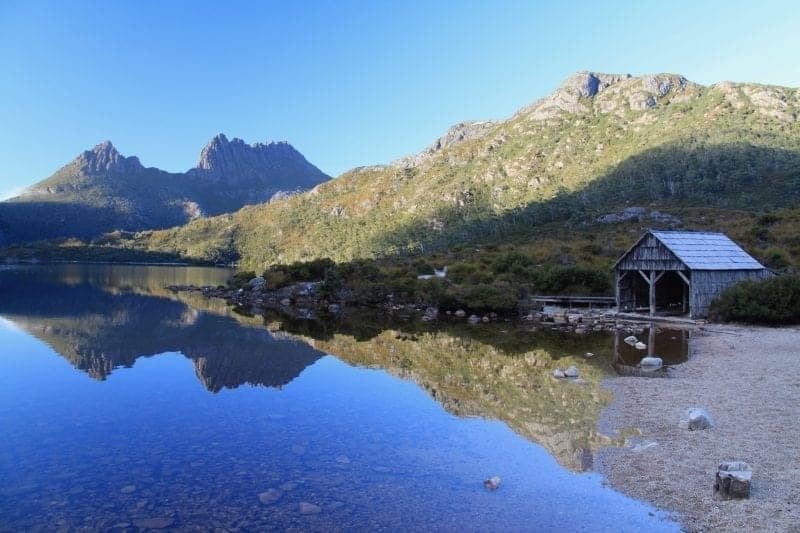 The Cradle Mountain-Lake St Clair National park is one of Tasmania’s most visited national parks. As soon as you arrive there you’ll understand why. The park offers a spectacular wilderness environment. You’ll find cascading rivers, rainforests, ancient pines, glacial lakes, wild alpine moorland, and rich vegetation. If you like hiking you’re going to love this national park. It’s famous for its many walking trails. There are hikes to suit everyone’s ability, ranging from the easy to the difficult. Our favourite experience during our visit to Cradle Mountain was tackling the iconic summit hike. It was a real challenge and probably one of the hardest hikes we’ve done to date, but the views from the top made it totally worth the effort. If you prefer multi-day hikes, try the world-famous Overland Track. With its stunning coastline of pink granite mountains descending into white sandy beaches and its secluded bays with turquoise water, Freycinet National Park pretty much has it all. 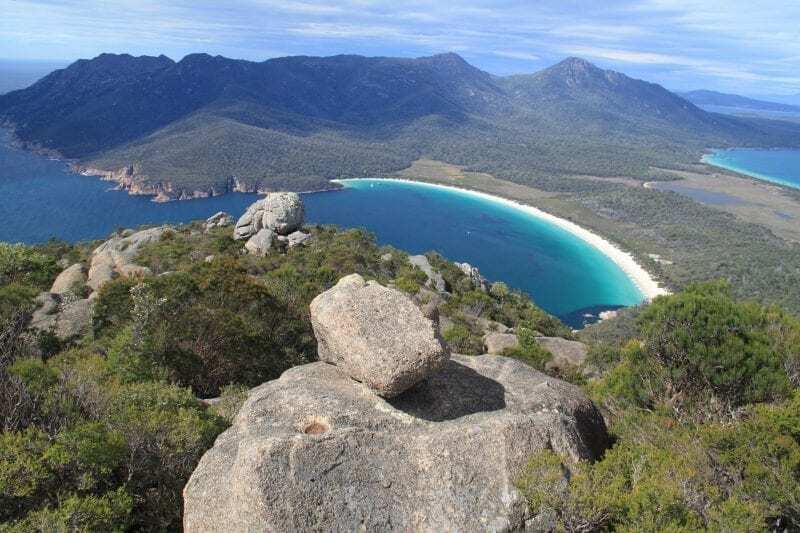 It’s home to the iconic Wineglass Bay, the most famous beach in Tasmania and one of the top ten beaches in the world. You can explore the park by either cruising one of its scenic drives or on foot by tackling one of its many hiking trails. You should absolutely do the walk to Wineglass Bay. The water in the bay is really cold but it’s so incredibly beautiful that you’ll struggle to resist taking a dip anyway. Alternatively, take a walk along its fine white sandy beach and soak up the magnificent coastal scenery. 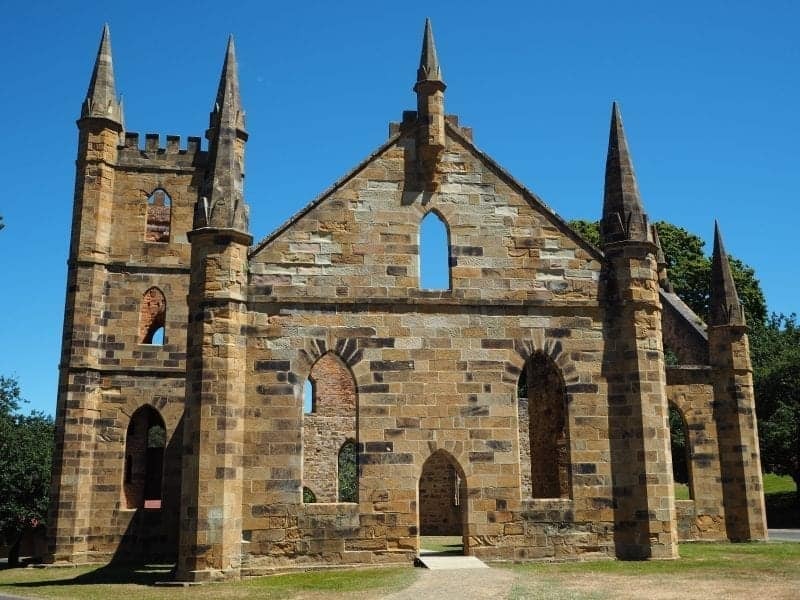 Two centuries ago, many arrivals to Australia were convicts and the worst place they could end up was at Tasmania’s convict settlement at Port Arthur. Only a narrow strip of land called Eaglehawk Neck separated the prison from the mainland. The way out was also heavily guarded by some rather grumpy canines, making an escape from Port Arthur practically impossible. A visit to the Port Arthur Heritage Site is a highlight of any trip to Tasmania. It’s now an open-air museum, and you can wander around the site to discover its history, visit the old penitentiary, hospital, church, insane asylum and much more. Port Arthur is a fascinating place, and on a nice sunny day, it is hard to imagine just how miserable daily life would have been for the resident convicts and their minders. If you’re adventurous and not easily spooked, you can even take a guided nighttime tour to see if you can spot one of the many ghosts that are said to haunt the grounds! The Bay of Fires stretches fifty kilometres from Binalong Bay to Eddystone Point along the eastern coast of Tasmania. A lot less popular than Freycinet National Park further south, the Bay of Fires is home to some of the most beautiful sandy beaches in Tasmania. The sand is so white and the water is so blue that it’s just calling you to jump in. If only the water wasn’t so cold! 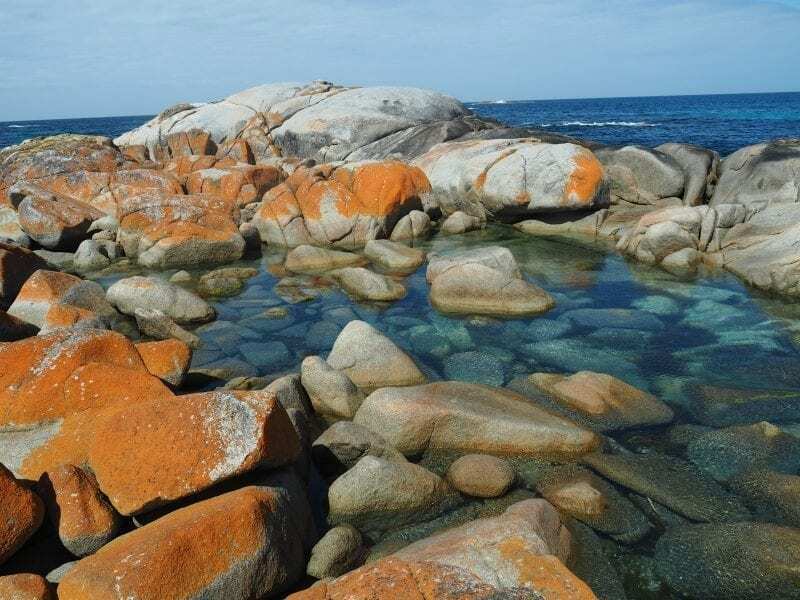 One highlight of the Bay of Fires is the stunning rock formations that are scattered around the bay. They are covered in an orange lichen that provides a beautiful contrast of colours against the deep blue of the ocean and the bright white sand. It’s a photographer’s paradise! Tasmania is a leading producer of premium cool climate wines and has seven different wine regions. The Tamar Valley is one of them. It runs alongside the majestic Tamar River and stretches from Launceston to the Bass Strait. 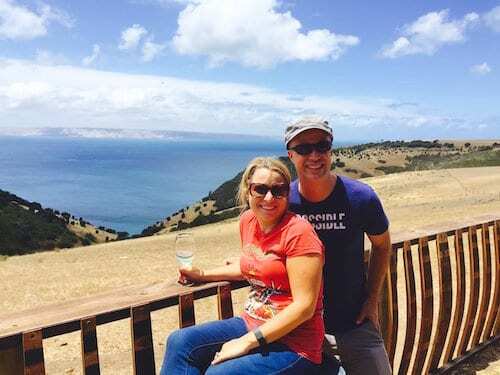 The Tamar Valley is also Tasmania oldest wine growing region and with over thirty wineries to choose from, it won’t take long for you to find one to sample some great wine. The region produces some gorgeous sparkling wines, along with pinot noir and sauvignon blanc. Why not pair a glass or two with a delicious platter of local cheeses? 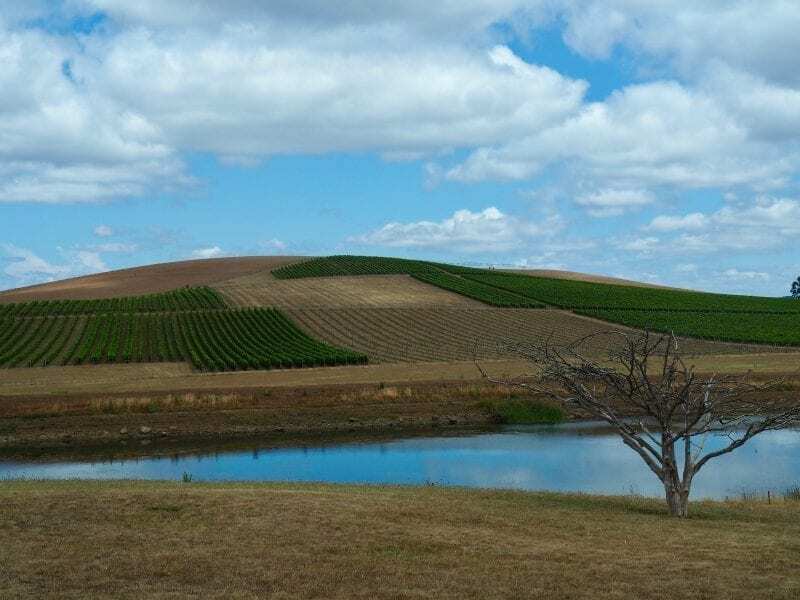 Driving through the Tamar Valley you’ll be treated to some incredibly beautiful scenery, ranging from well-manicured vineyards and orchards through to rugged native forests. This is definitely one of the best places to visit in Tasmania. Walk fifteen minutes outside of Launceston’s city centre and you’ll reach the unique natural formation of the Cataract Gorge. It’s hard to believe that you can find such a peaceful wilderness area only minutes away from the city. There’s plenty to keep you busy in the gorge. Take a leisurely walk, tackle one of the hiking trails, or in summer-time swim in its large open-air pool. To get a fantastic view of the gorge from above, hop on the world’s longest single span chairlift. When walking around the gorge, keep an eye out for the many wallabies and peacocks that can be found throughout the park. Hobart is the capital city of Tasmania and one of the oldest cities in Australia. 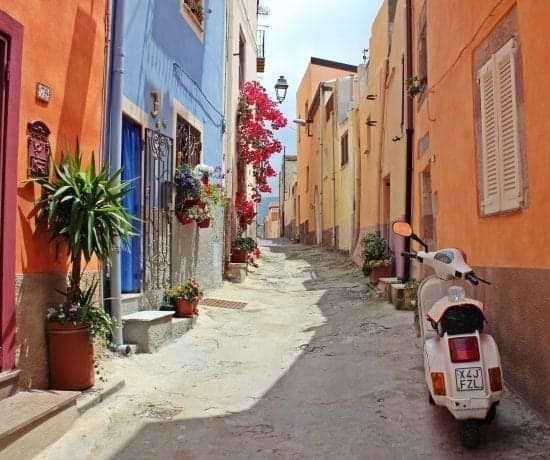 It has a reputation for being a boring, sleepy town, but you can only say that if you’ve never been there! In fact, it is everything but that. Set against the backdrop of Mount Wellington and with its beautiful natural harbour, Hobart is a fantastic city to walk around. Hobart’s waterfront is a great place to hang out, with its harbour-side bars, bustling restaurants and quirky cafes. On Saturday mornings, check out the Salamanca market with its three hundred stalls selling handmade Tasmanian craft goods, local delicacies and everything else in between. Finally, if you’re an art lover, take a ferry to the incredibly popular Museum of Old and New Art (MONA). It will certainly make an impression on you! If you’re visiting Port Arthur, hang around and explore more of the Tasman Peninsula. It’s a real stunner with its rugged sea-cliffs, abundant bird and marine life, and incredible coastal walks. The Tasman Peninsula is home to a spectacular coastline and interesting rock formations such as Tessellated Pavement, the Blow Hole, Devil’s Kitchen, Tasman Arch, Remarkable Cave and Waterfall Bay. These attractions are all easily accessible by car. 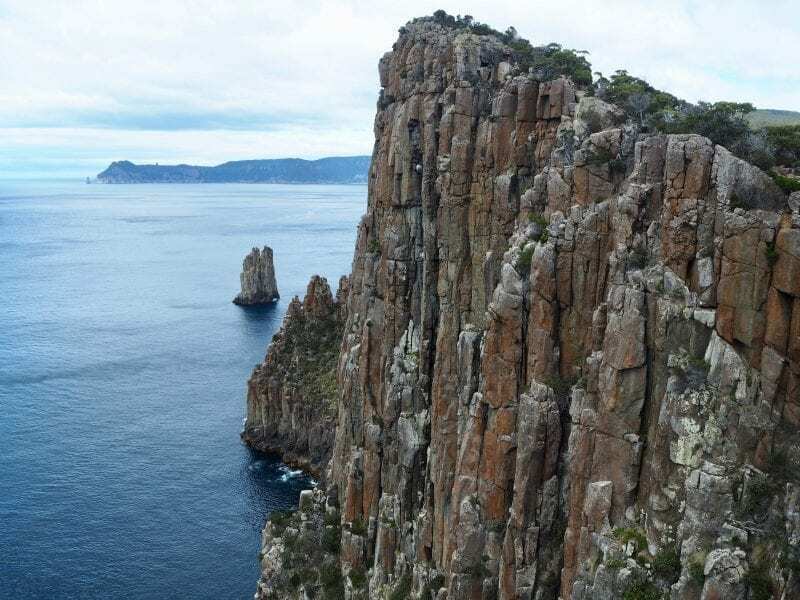 If you’re a keen hiker there are some great hiking options available, such as the newly open multi-day Three Capes track which offers exhilarating cliff top views. If you prefer shorter hikes, the half day Cape Hauy trail is a great alternative. Bruny Island is an easy day trip from Hobart and is accessible by ferry from the coastal town of Kettering. 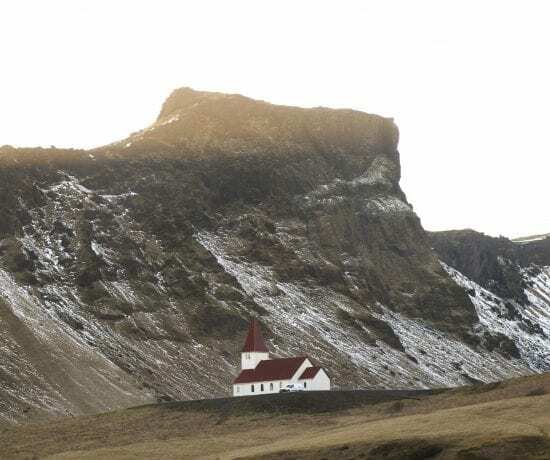 The island is actually two islands that are connected by a narrow isthmus called the Neck. Bruny Island is renowned for its delicious local produce and for its diversity of wildlife, which includes fur and elephant seals, penguins, echidnas, lots of seabirds and some unique species such as the Albino White Wallabies. Strahan is a small harbour-side town situated on the edge of the Franklin-Gordon Wild Rivers National Park. 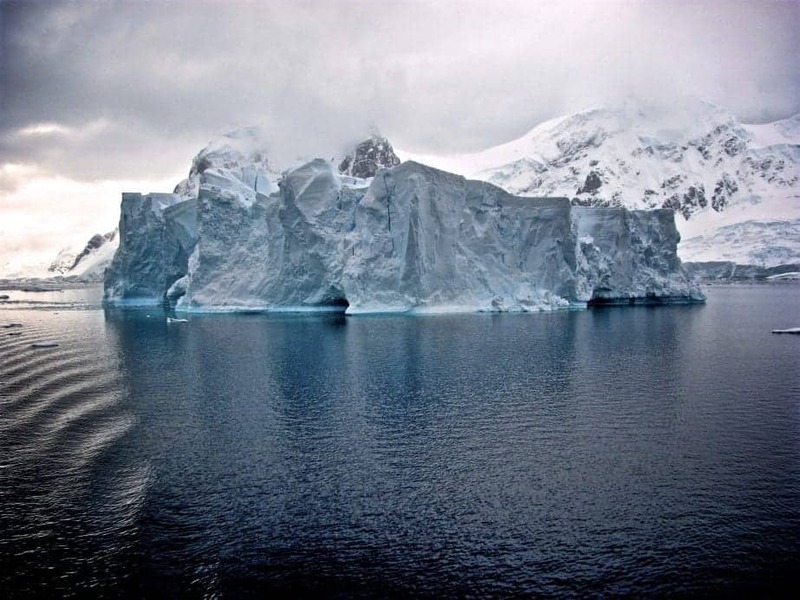 As the last town on Tasmania’s west coast, it is one of the most isolated places on the planet. 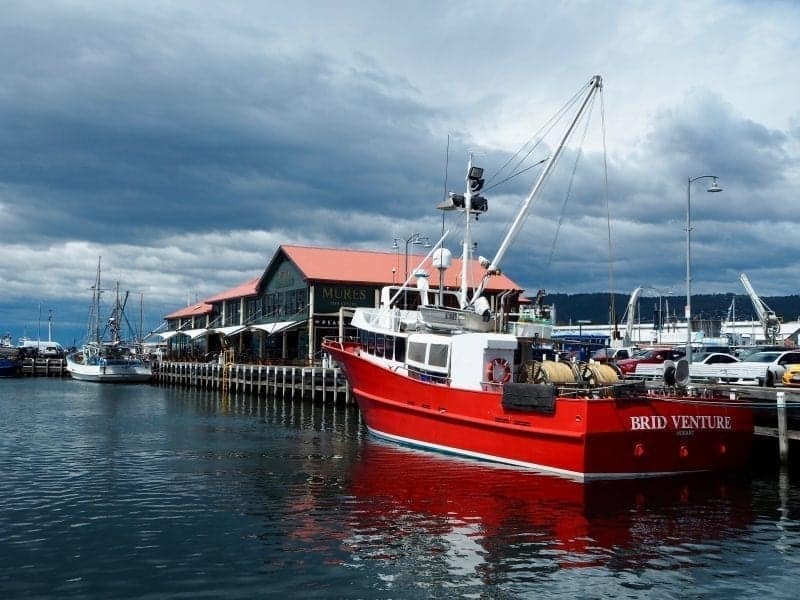 With its main street facing the majestic waters of Macquarie Harbour and with plenty of activities to do in the surrounding area (you’ve got to take a boat cruise! ), Strahan is a real gem. Sadly because of its distance from Tasmania’s main cities (it’s a four and a half hour drive from Hobart and over three and a half hours from Launceston), not many visitors to Tasmania make it to Strahan. Tasmania has so much to offer that it is one of the best places to visit in Australia. Take our word for it and head there on your next trip down-under. This little island may turn out to be the highlight of your holiday. 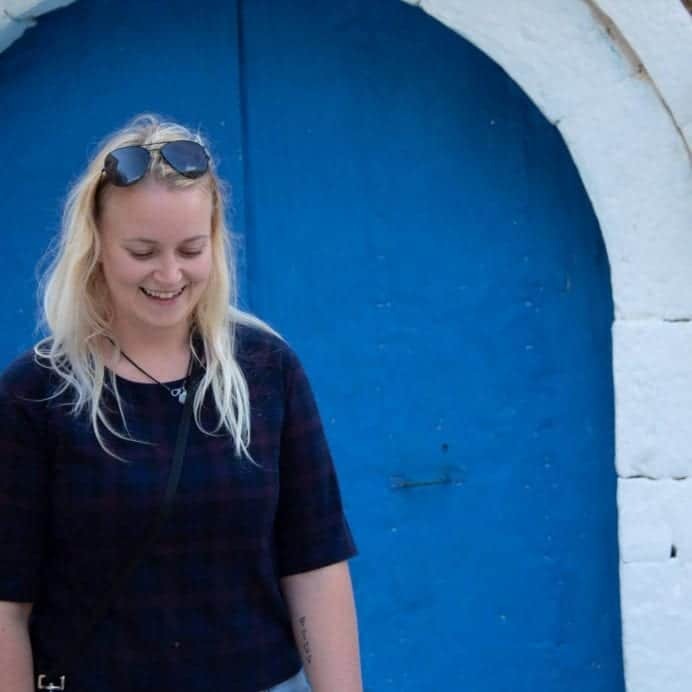 Author: I’m Cindy and I’m a travelholic. Simon is my husband and he’s married to a travelholic! We’re not currently traveling full time but we hope to be soon to tick places off our bucket list much faster. In the meantime we spend our free time roaming the world. We hope you enjoy following along with us on our travel blog Free Two Roam.